The big kids were coming here for spring break as well as to attend Beauty and the Beast at the Fox. 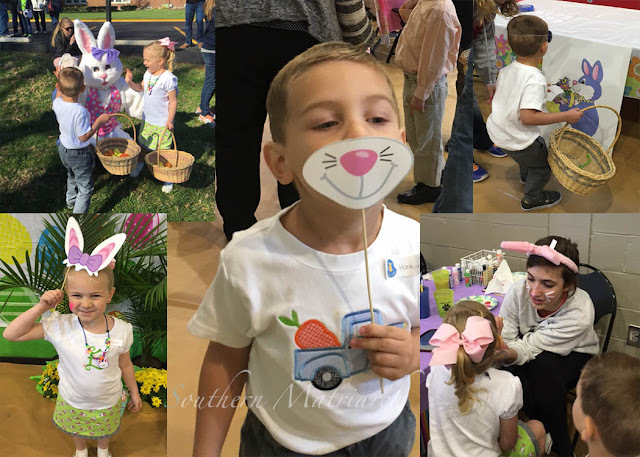 While they were here Momma decided to take them to the UA Easter Egg Hunt. 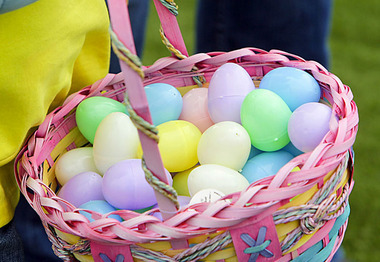 I have to admit, I had never been to an organized Easter Egg Hunt unless you want to call the ones we did with the kids in the back yard organized. The alumnae association did a great job. I have had this Fabric Finders bunny pique in the closet for a few years. I initially had intended to use it for the Lucy challenge I spoke of yesterday. I just couldn't make it come together in my mind and was also afraid LG's momma wouldn't like it. I used CC Sara's Skort. A first for me. It went together so easy though it did make me a little sad to realize Princess is big enough to wear skirts now. I would rather she still be in a size 24 mos Lucy like her cousin. 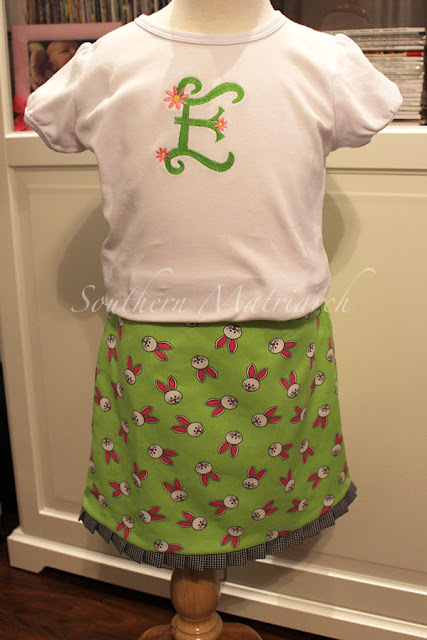 The ruffle and shorts were made from a "hunk" of black/white gingham that was just barely big enough to squeeze the shorts from. You can't tell but the pleated ruffle is pieced together. 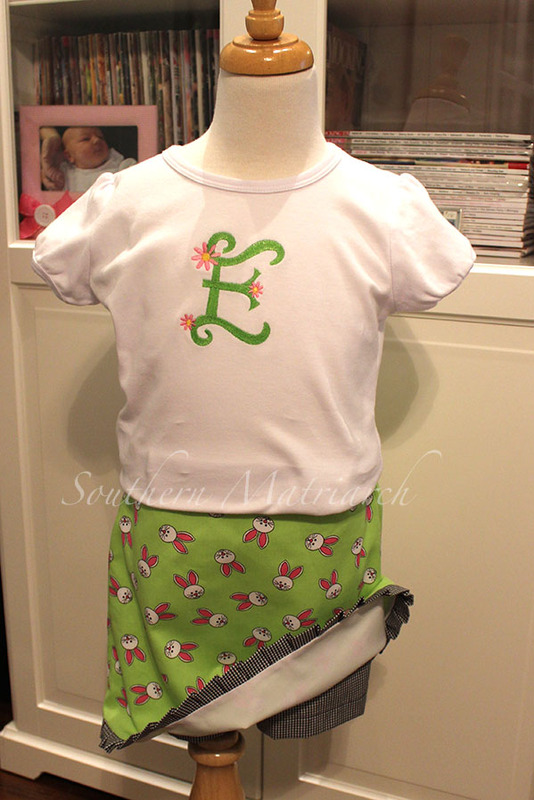 T shirt is machine embroidered with Flower Letters from Fun Stitch. Excuse the dark, shadowy photos, this was late at night and the lighting in my sewing room is not conducive to photography. As I said, I had no black gingham left for a pair of shorts plus it was stinking cold here that day. I had purchased him a pair of khaki shorts but it was too cold. 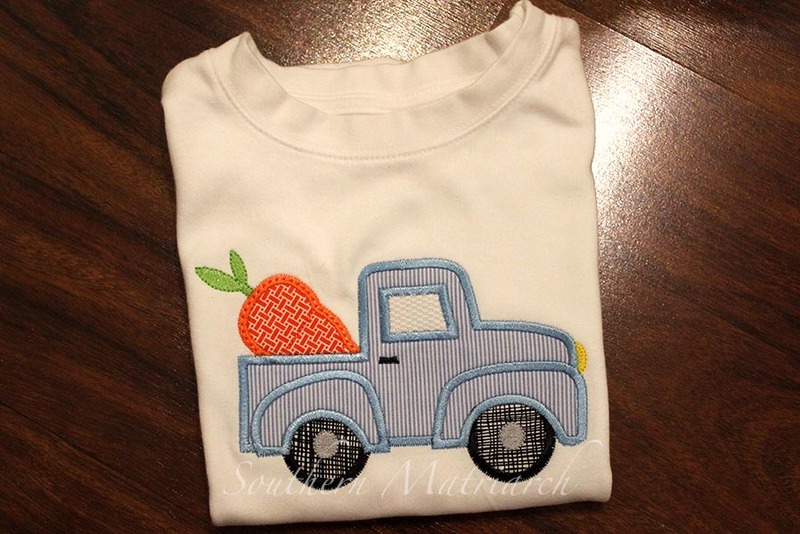 He has an embroidered t-shirt with a cute carrot totin' truck from Planet Appliqué. Actually I made this shirt twice. Bless his heart he dumped an entire cup of coffee (cold, thank goodness) on himself trying to protect his basket from a perceived interloper. He loved the truck so much, Mimi quickly made him another one and zipped it off in the mail. This was on the way out the door. They had fun before having to say a sad goodbye to return home. They are growing up too fast. I am swooning that you are back to posting. I have missed you sooooo much! 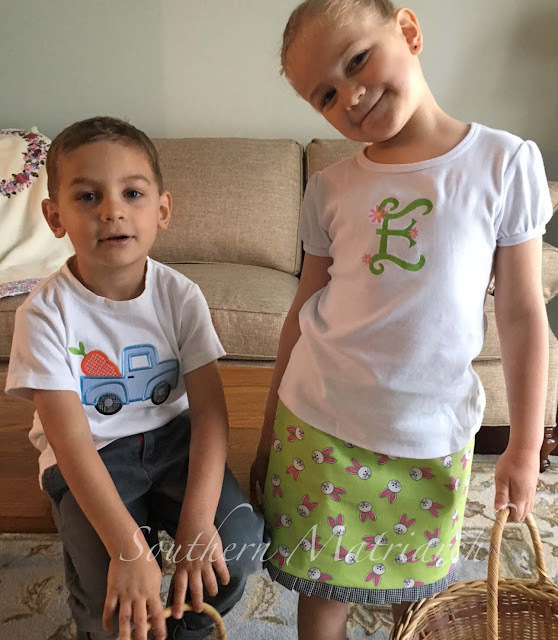 Love those cute egg hunt outfits! I have that same bunny fabric and a granddaughter that give me the same "wish she were size 3 instead of 4" attitude. I've never got around to the skort with dgd #1 but will give it a try with your recommendation. 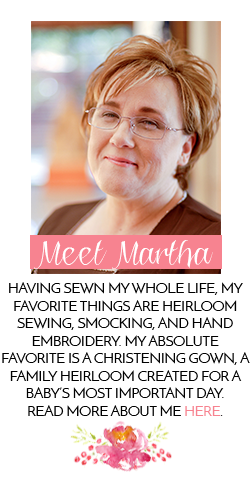 I really enjoy all your blog posts. Good luck. I thought it turned out cute. And she liked it which was even better. Love, love, love to see what you are making. My own granddaughters are close to the ages of your little ones and I need to start sewing again. You are inspiring me.